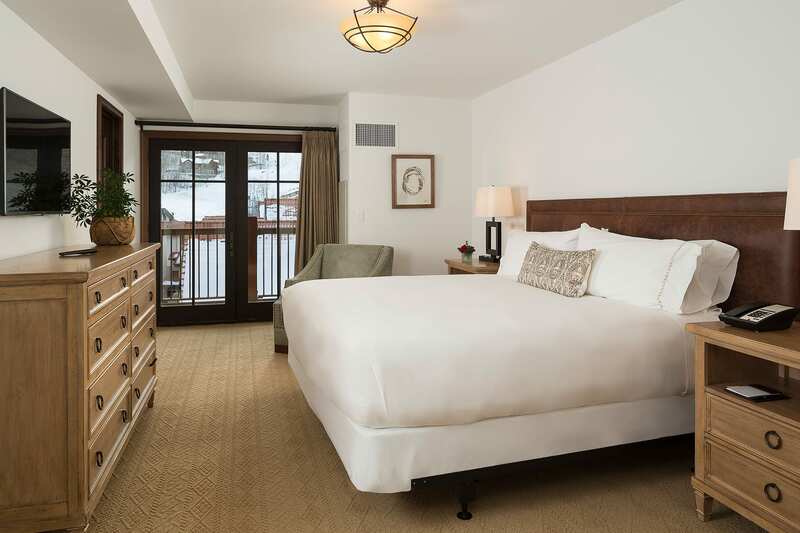 Madeline Hotel and Residences, an Auberge Resort, offers a ski-in/ski-out location in the heart of Mountain Village. 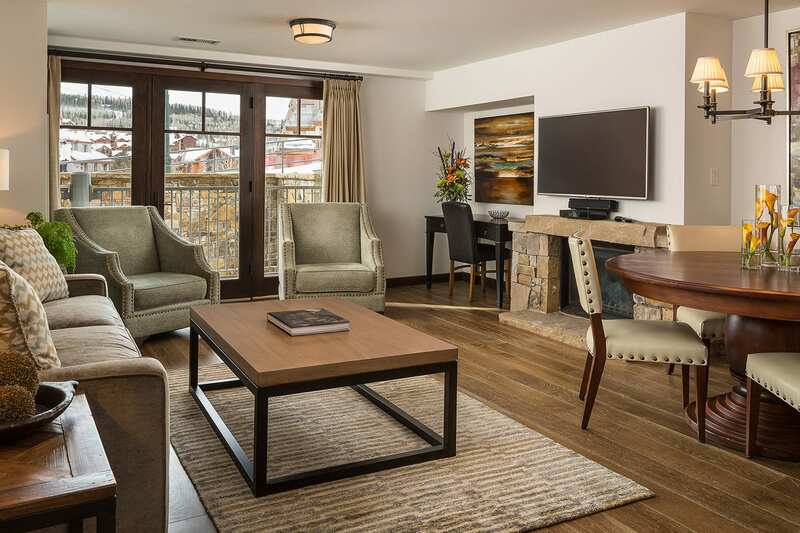 A four-diamond rated hotel, Madeline provides full-service with spacious guestrooms, suites and one to fourbedroom residences that deliver the utmost in comfort, style and atmosphere.When staying slope-side, you are at the center of it all! 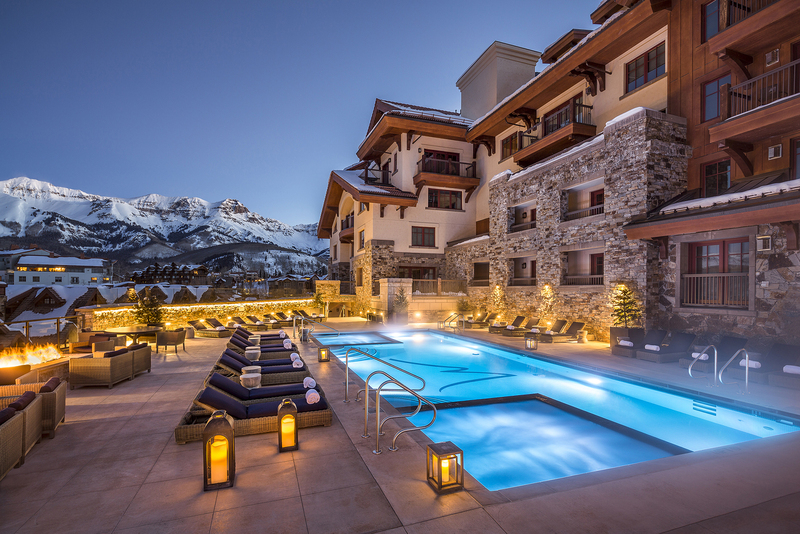 The resort features 83 hotel rooms and 71 residences & suites, two restaurants, and The Sky Terrace, a year-round outdoor pool deck perfect for relaxation and socializing amidst the spectacular scenery of the San Juan Mountains.As inspired as our mid-mountain setting, dining at Madeline Hotel satisfies sophisticated and simple tastes alike. Black Iron Kitchen & Bar, offers modern mountain cuisine in a family-friendly setting, live music, and signature fire tables. M Lounge features an indoor/outdoor bar and dining room with a relaxed vibe and a game room with a pool table and shuffleboard. Madeline is also home to Tellurides only Starbucks and Dylan's Candy Bar. Kids will love 20-Below, a private innovative space designed for kids looking for a cool place to hang out.The Ice Rink, located just outside of M Lounge, is the perfect place to spend time skating in the winter months with family and friends. After a day on the slopes, slip into M Spa for a massage or a stretch class at M Studio, offering daily yoga and Pilates classes. M Salon, a full-service hair and nail salon will help you get ready for a night on the town! 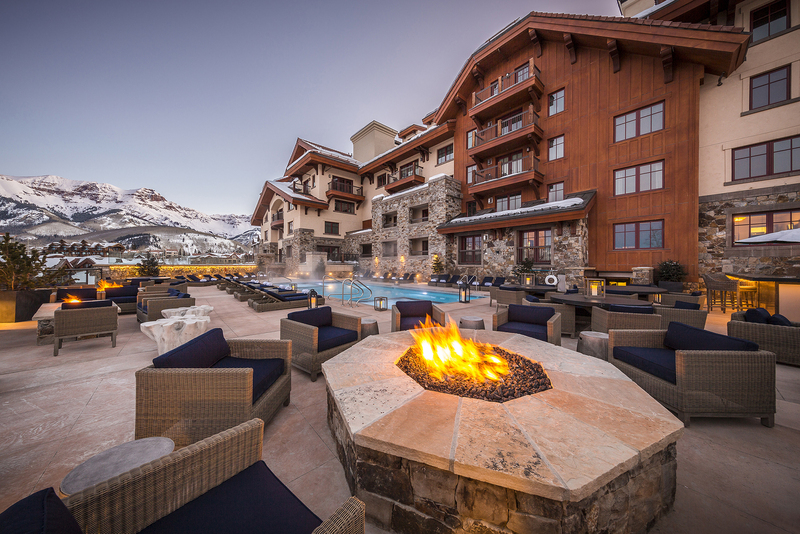 Madeline Hotel and Residences, an Auberge Resort, offers a ski-in/ski-out location in the heart of Mountain Village. 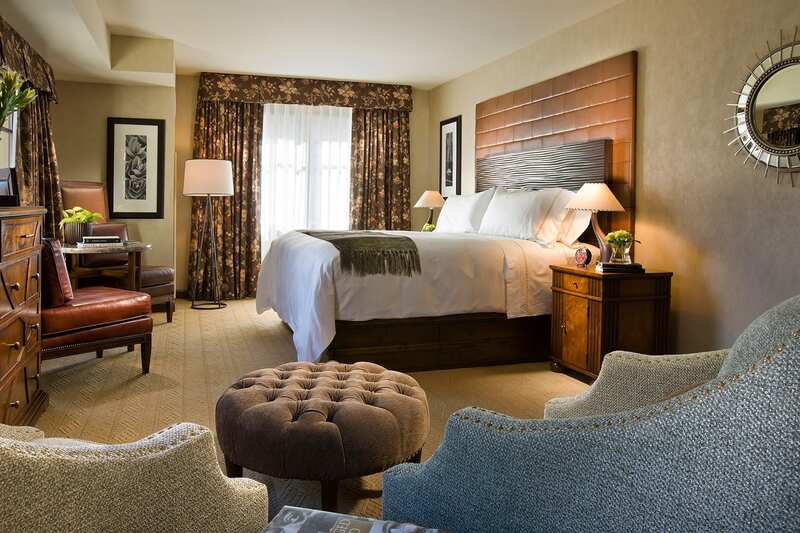 A four-diamond rated hotel, Madeline provides full-service with spacious guestrooms, suites and one to fourâ€“bedroom residences that deliver the utmost in comfort, style and atmosphere. When staying slope-side, you are at the center of it all! 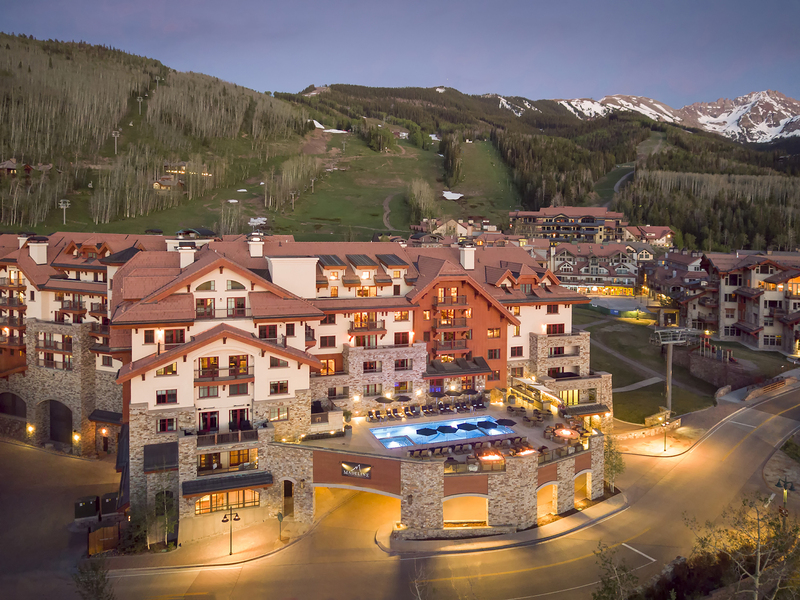 The resort features 83 hotel rooms and 71 residences & suites, two restaurants, and The Sky Terrace, a year-round outdoor pool deck perfect for relaxation and socializing amidst the spectacular scenery of the San Juan Mountains. As inspired as our mid-mountain setting, dining at Madeline Hotel satisfies sophisticated and simple tastes alike. Black Iron Kitchen & Bar, offers modern mountain cuisine in a family-friendly setting, live music, and signature fire tables. M Lounge features an indoor/outdoor bar and dining room with a relaxed vibe and a game room with a pool table and shuffleboard. Madeline is also home to Tellurideâ€™s only Starbucks and Dylan's Candy Bar. Kids will love 20-Below, a private innovative space designed for kids looking for a cool place to hang out. 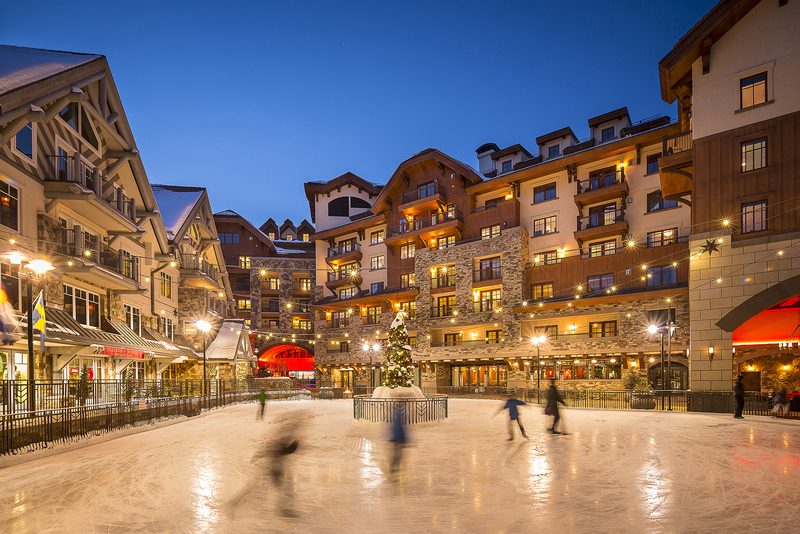 The Ice Rink, located just outside of M Lounge, is the perfect place to spend time skating in the winter months with family and friends. After a day on the slopes, slip into M Spa for a massage or a stretch class at M Studio, offering daily yoga and Pilates classes. M Salon, a full-service hair and nail salon will help you get ready for a night on the town! 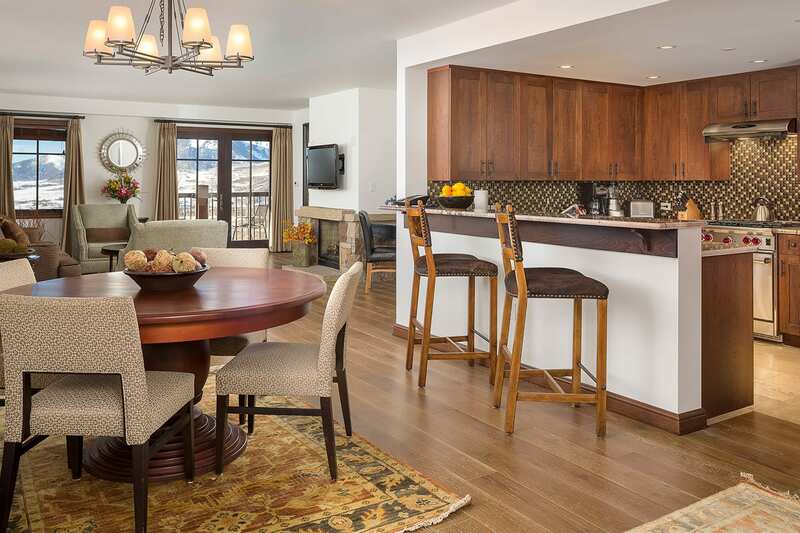 Like a private ski home, each one bedroom residence features a fully equipped kitchen with stainless steel appliances and washer/dryer. Most units offer a private balcony for evening cocktails and gazing at the stars. Relax fireside in the spacious living room. For extra bedding the sofa has a pull out bed. 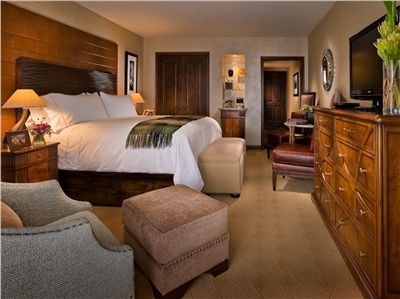 The separate bedroom with a king bed offers an en-suite bathroom with heated floors and a separate soaking tub and steam shower. Guest powder room in the hallway. 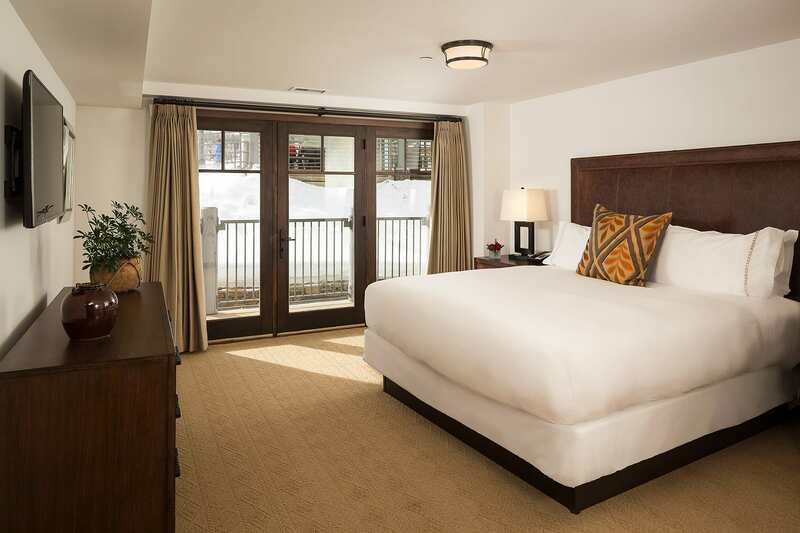 Gaze out at the mountains from these spacious two room suites with separate bedroom and living areas in a private luxury alpine inspired design. 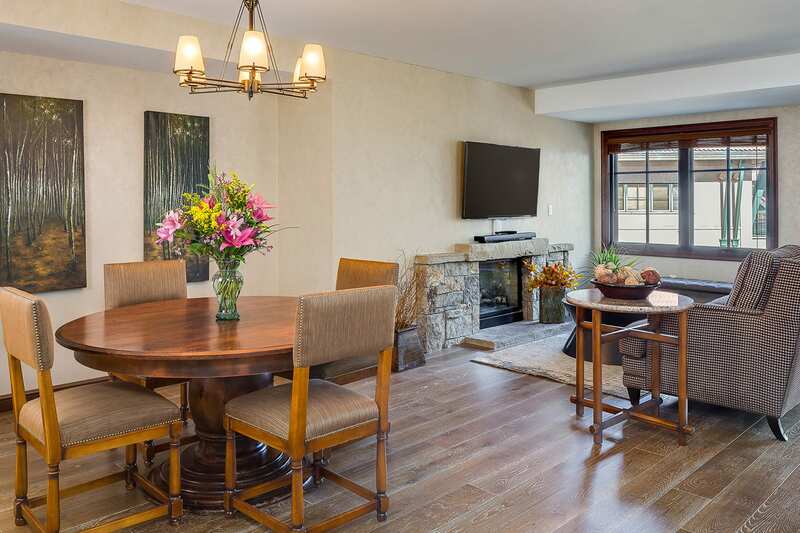 Living room features a gas fireplace and a couch with a pull out sofa, a dining table, and kitchenette. 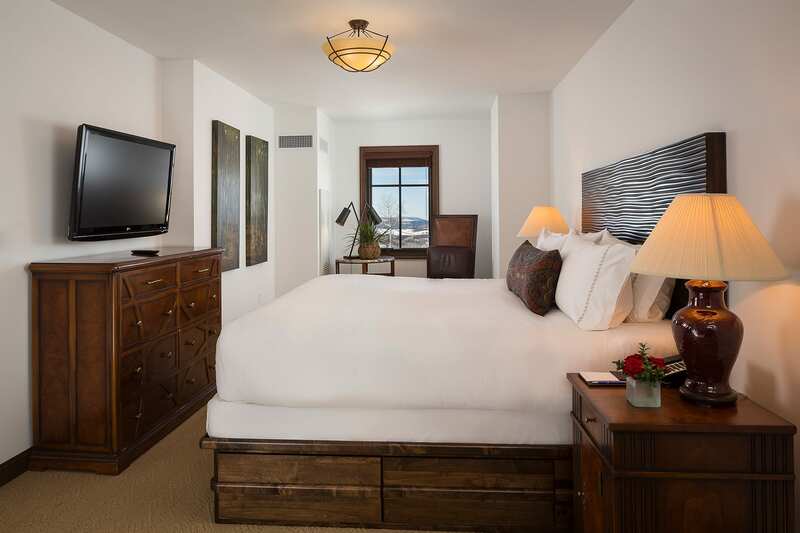 The bedroom features a king size bed with custom pillow top mattresses, the latest in-room technology, and luxurious bathroom with heated floors, separate soaking tub and shower, and deluxe bath amenities. Separate powder room in the hallway. 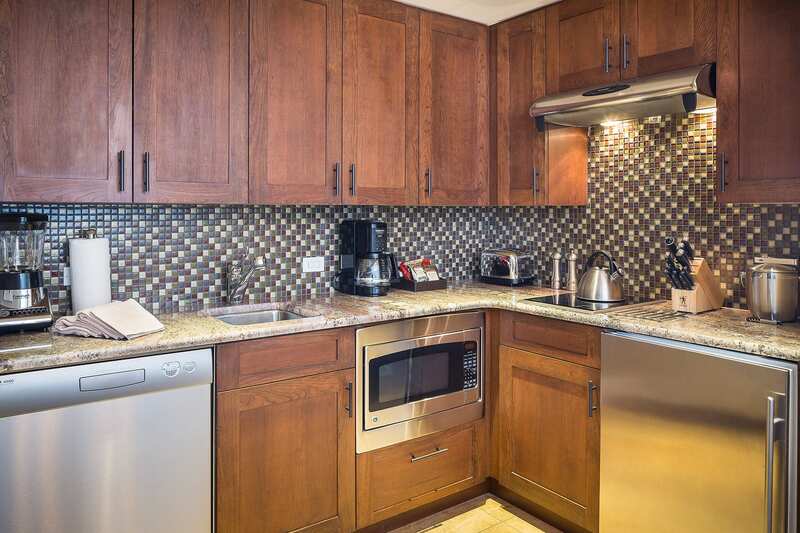 With extra space for longer stays and families, each two bedroom residence features a full kitchen with stainless steel appliances and washer/dryer. 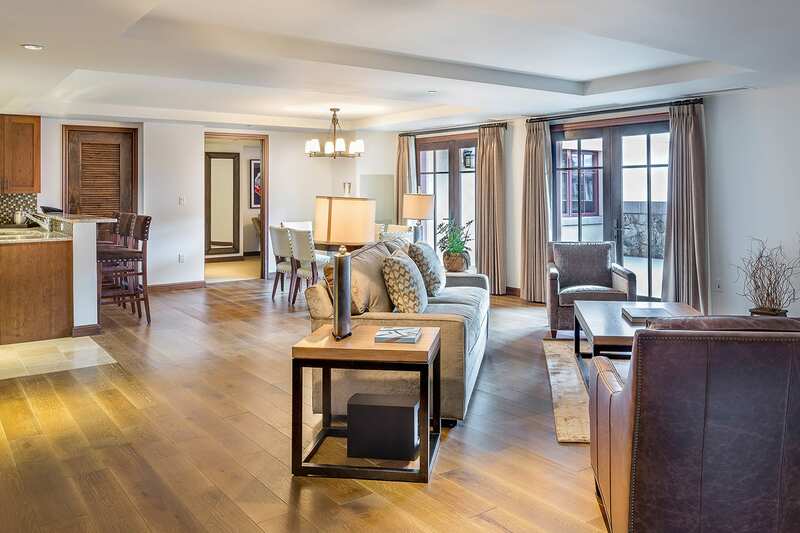 The spacious living room is furnished with a pull out sofa and a gas fireplace for extra warmth and ambiance. The separate bedrooms have either a king or queen bed with en-suite bathrooms with heated floors and are equipped with a separate soaking tub and steam shower. Most units offer a private balcony with space to relax with your morning coffee and enjoy the views. Guest powder room in the hallway. Breathe in the fresh mountain air in this alpine styled home. 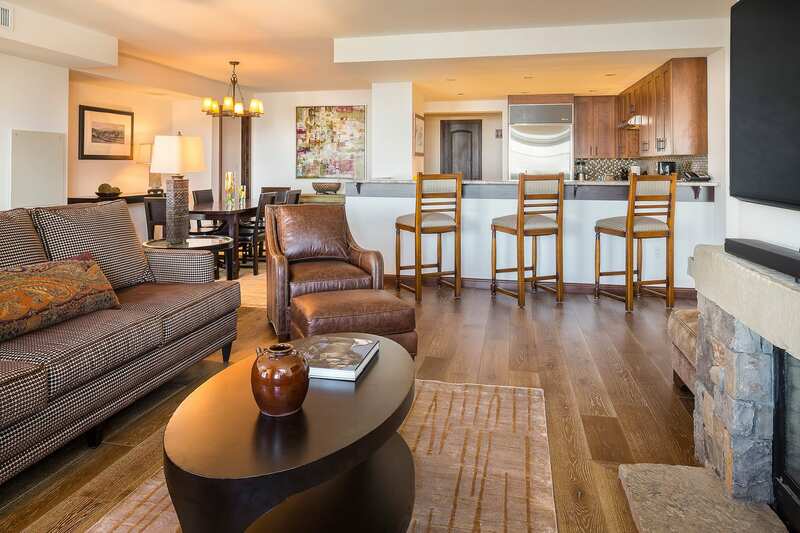 With separate sleeping and living areas in a relaxed, private setting, two bedroom suites are perfectly suited for business and leisure travelers. 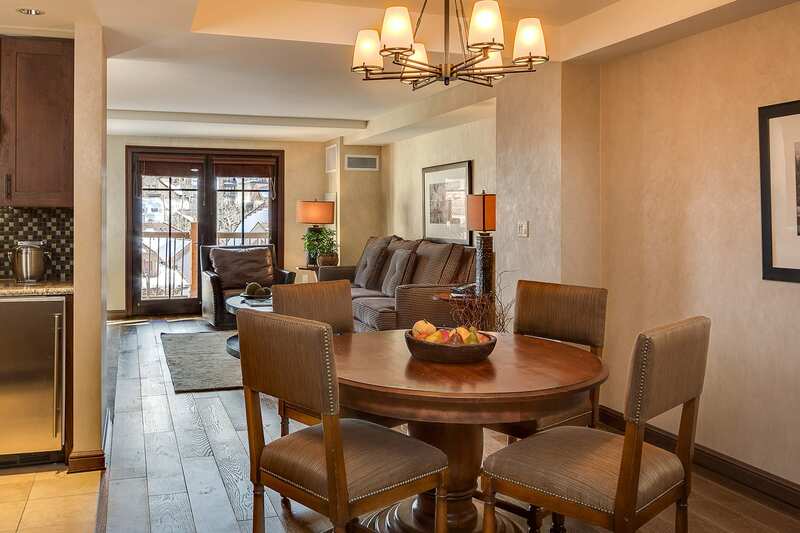 The living room features a gas fireplace and a pull out sofa, dining table and kitchenette. 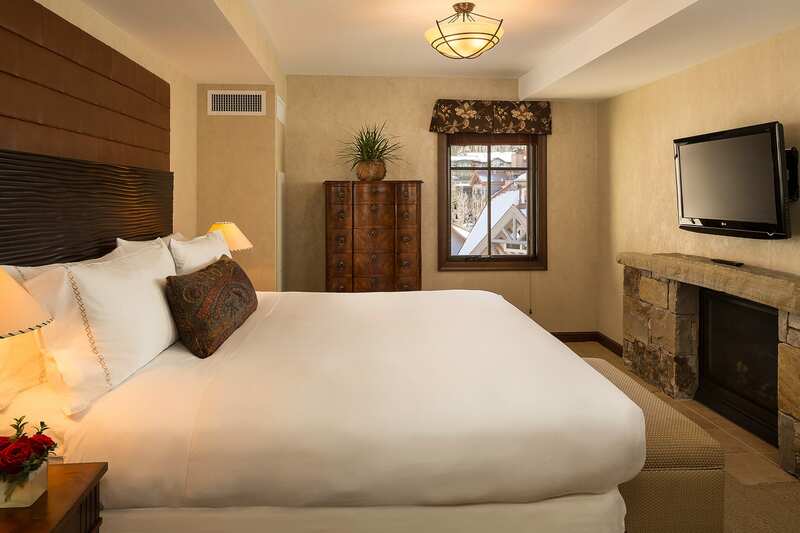 Each bedroom features a king size bed with custom pillow top mattresses, the latest in-room technology, and luxurious bathroom with a granite double vanity, separate soaking tub and shower and deluxe bath amenities. Separate powder room in the hallway. 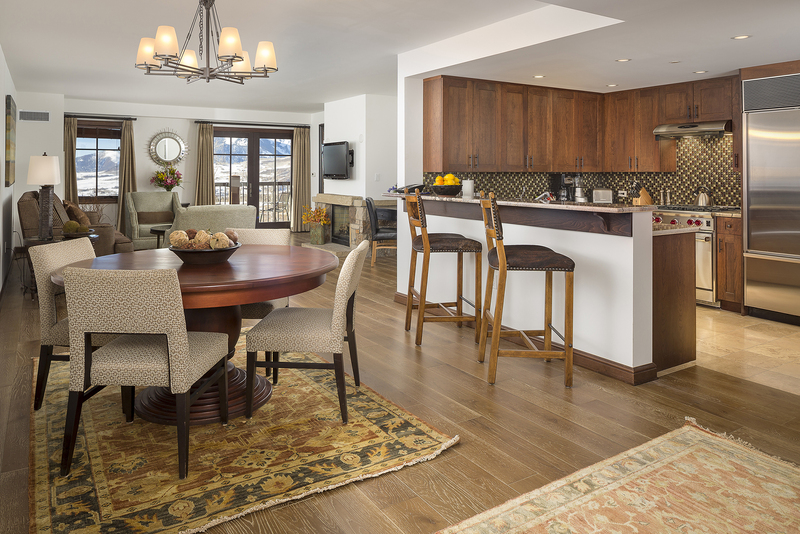 Stunning alpine-inspired decor in each three bedroom residence offers space for everyone. 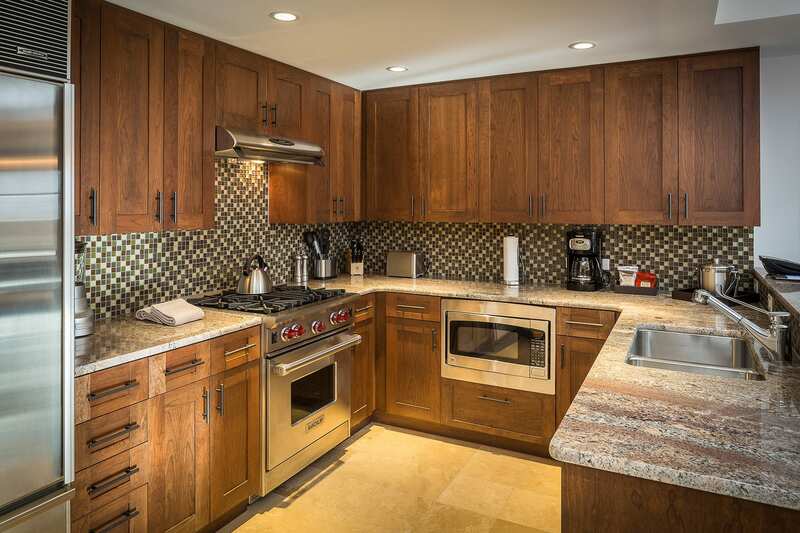 The full kitchen features stainless steel appliances and washer/dryer and an open dining area for gathering with friends & family. The gas fireplace in the spacious living room sets the stage for relaxing. The couch is furnished with a pull out sofa. The well-appointed bedrooms are set up with either a king or queen bed and en-suite bathrooms with heated floors and a separate soaking tub and steam shower. Most units offer a private balcony. Guest powder room in the hallway. 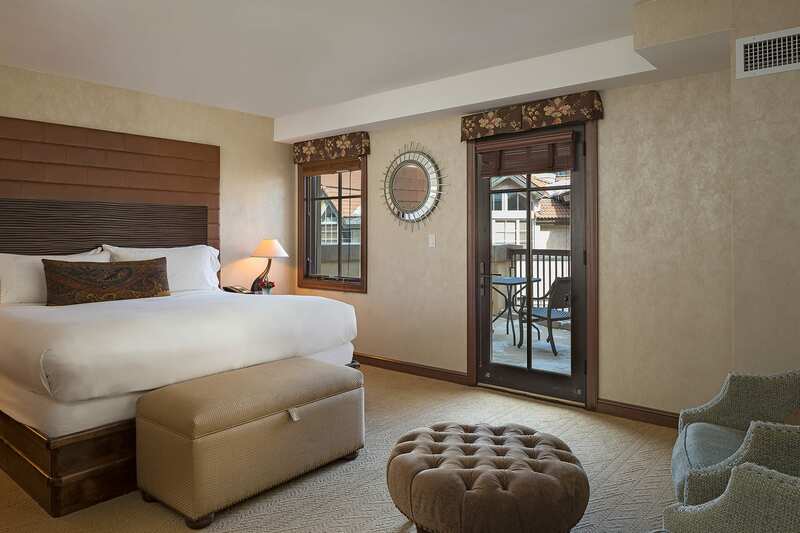 Spacious, luxury slopeside rooms are custom designed with locally inspired furnishings. 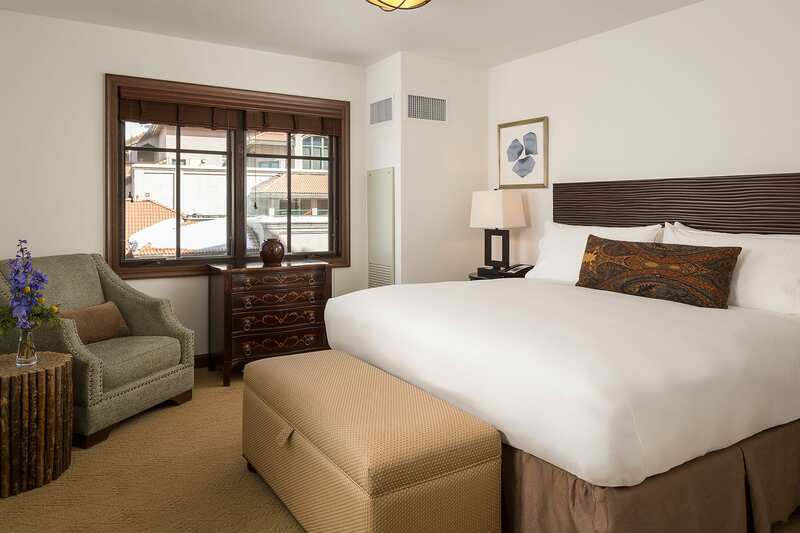 A refreshing blend of classic alpine design and modern touches ensure the perfect stay. 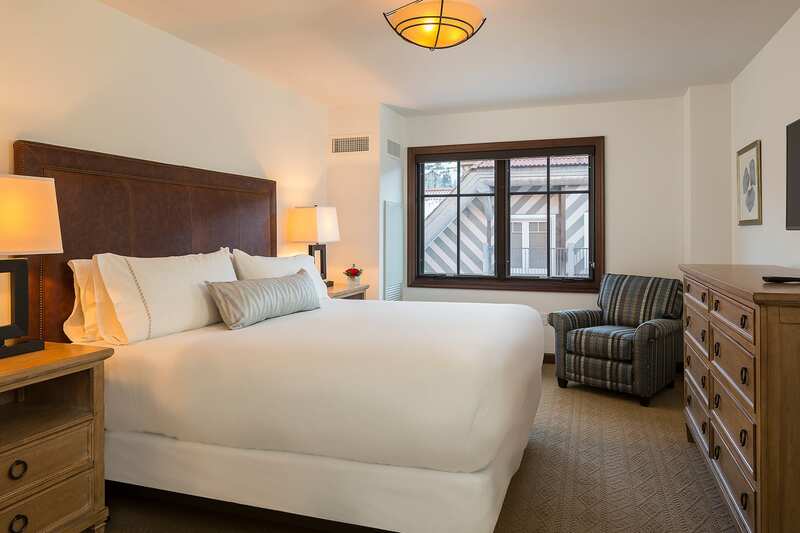 Each room features a king size bed, modern amenities, eco friendly air conditioning, an LCD television, DVD player, wireless internet, and sumptuous bathroom with a sleek granite double vanity, large soaking tub with separate shower and deluxe bath amenities. Adjoining rooms available. From the North, Driving southbound on US-50, continue straight on US-550 in Montrose and proceed 26.3 miles, turn right on CO-62 and proceed 23.4 miles, turn left on CO-145 and proceed 12.8 miles, turn right on continuation of CO-145 and proceed 1.7 miles. From the South - Driving north on US-550, turn left on US-160 in Durango and proceed 47.4 miles, turn right on CO-145 and proceed 69.4 miles, turn right on Mountain Village Blvd. and proceed 2.3 miles, arrive at Madeline Hotel & Residences. From the West - From US-191, drive East on UT-46 and proceed 21.6 miles, continue on CO-90 and proceed 33.9 miles, turn right on CO-141 and proceed 6.1 miles, continue on CO-145 and proceed 32.6 miles, turn left on Mountain Village Blvd. and proceed 2.3 miles, arrive at Madeline Hotel & Residences. 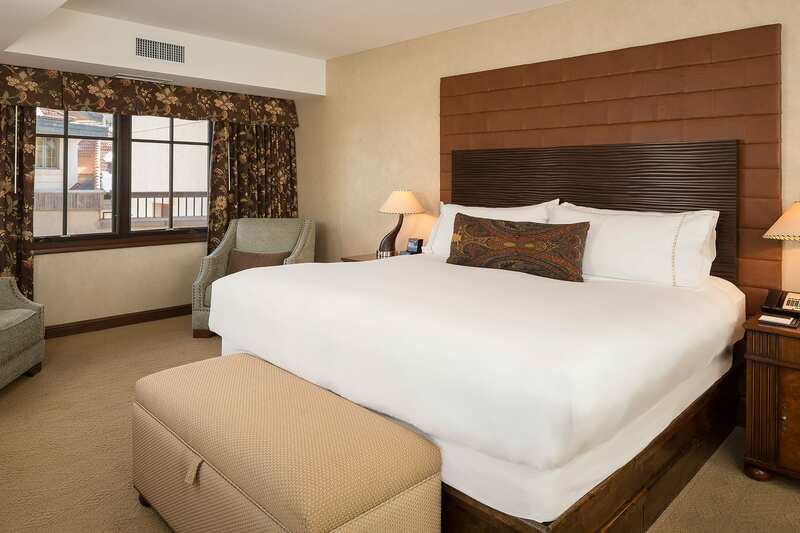 General	| All reservations must be guaranteed with a major credit card. The credit card provided will be charged for all prepayments as described in the deposit policy. There is an additional charge of $30 a day per vehicle. Cancellation	| Reservations may be cancelled up to 30 days prior to arrival without penalty. All prepayments collected thereafter are non-refundable. Deposit	| A credit card is required for guarantee at the time of booking, full prepayment will be charged to the credit card 30 days prior to arrival. Pets	| Pets are allowed. 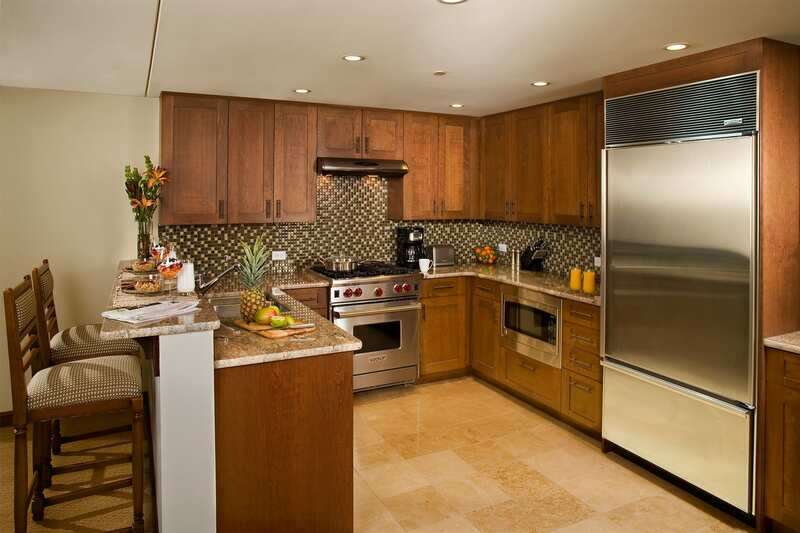 Pet fee of $25/night per pet with a maximum of $100 for entire stay. Other	| Smoking is only allowed in designated public areas. Children	| Children 17 years and under stay free with an accompanied adult within existing bedding.